We have been moving quickly the past few days. 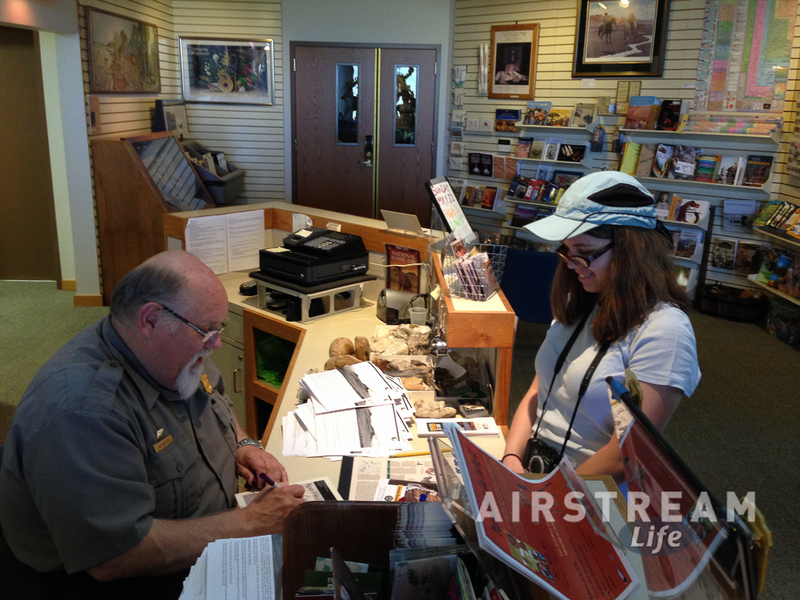 From Fort Collins we headed up to bag a national park site, Agate Fossil Beds National Monument, just because we could. This particular park is small, doesn’t have camping, and is located in a fairly remote area, so it’s tough to visit. Back in 2007 when we were at Scottsbluff I considered going to Agate but it seemed too remote when I looked at the Nebraska map. That was silly, since it’s only about 50 miles away. Turned out to be a pretty nice spot, with a great visitor center (and an awesome collection of Sioux artifacts that by itself was worth the trip). Despite the name, the park is not really about Agate, but is very strong on fossils. (Come find out what a daemonelix is.) Emma snagged a Junior Ranger badge and we hiked one of the trails until the weather turned abruptly blustery and cold. On the recommendation of one of the park staff, we are not taking the quickest possible route across Nebraska (I-80) because it’s also the most boring. Instead we headed north to Rt 20, which has turned out to be a much nicer way to go. Rt 20 has—unlike I-80—actual scenery! Rolling hills! Lovely state parks! It’s enough to make me feel badly about all those things I said in the past regarding the dullness of traversing Nebraska. It’s still vast and often startlingly empty, but at least not so straight and tedious that you’re tempted to lash the steering wheel with a rope and take a nap. 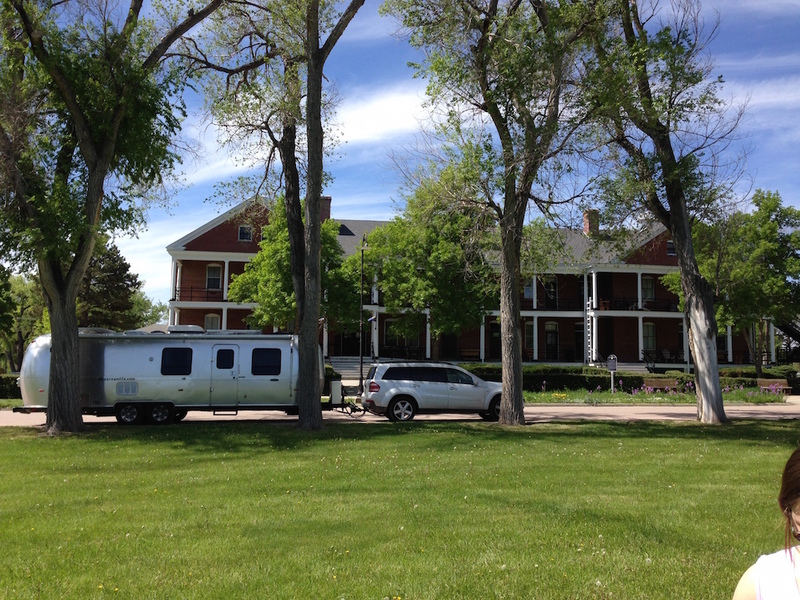 Our stop for the night was Fort Robinson State Park, which is one of the many small treats of traveling this route. I posted a review on Campendium. From there we’ve been winging it across Nebraska’s countryside, stopping in small towns for roadside breaks, and listening to podcasts when there’s little outside to see. We found a quiet little State Recreation Area near Stanton NE (also on Campendium) and that was a good find too. The rest of the travel has been, sadly, Interstate highway through Iowa and Illinois. Right now we are stopped about 90 miles from the Chicago area, heading to an appointment tomorrow with the kind folks from Zip Dee (the people who made your Airstream awning and probably also your chairs). We’re also going to get the windshield replaced while we are in the Zip Dee parking lot, because something cracked it on Monday night. Alas, that’s part of the price of doing a lot of highway travel. We have zero-deductible glass insurance for that reason. But we won’t hang around in the Zip Dee parking lot for long, because by Saturday we need to be in Ohio to help prep for next week’s Alumapalooza. The excitement is building for that event and it looks like it’s going to be a great time. More on that soon. Agate Fossil Beds is a little known gem. I hope you had the opportunity to explore the Native American artifacts. I was particularly taken by the flint sheath donated by Crazy Horse’s sister. It is the only known item left associated with him. To see that and the other well displayed Sioux items of the region and then to visit Fort Robinson, the site of his assassination, was deep, contemplative experience for me.